Tea tree oil, also known as melaleuca oil, is pressed from the leaves of the Melaleuca alternifolia tree, a plant native to Southeast Queensland and the Northeast coast of New South Wales, Australia. And it’s quickly becoming one of the most commonly used essential oils around. The oil gives off a fresh, revitalizing scent, and can be used for a plethora of medical and skin care needs. It’s ability to act as a powerful natural antibacterial, antimicrobial, antiseptic, antiviral, balsamic, expectorant, fungicide, and insecticide certainly earns this natural plant-based oil a coveted spot in many people’s medicine cabinets. Keep reading to discover my 3 favorite all-natural uses of tea tree oil. In the 1920s, a chemist named Arthur Penfold spent time exploring the molecular properties, structures, and chemical makeup of tea tree oil. During his studies in photochemistry, he found that tea tree oil appeared extremely promising due to its powerful antiseptic properties. Since his findings in the 20s, tea tree oil has been used widely around the world as a topical natural antiseptic. It’s an effective antiseptic because it’s composed of terpene hydrocarbons, mainly monoterpenes, sesquiterpenes, and their associated alcohols. All of these things work together to disinfect and fight germs. A great way to use tea tree oil as an antiseptic is to turn it into a hand sanitizer. Check out the recipe below. Stir these together and add 16 tablespoons (8 ounces) of aloe vera gel and 1 tablespoon of witch hazel. Blend everything together, and store out of direct sunlight in a cool place for up to 1 month. I’ve covered how tea tree oil works as a powerful antiseptic. That being said, it’s not only good for your body…it also makes for a great household cleaning product. The next time you clean your kitchen or bathroom, pull out your tea tree essential oils. Not only will this oil leave your home sparkly and clean, but it will also leave your air scented with the fresh and invigorating aroma of tea tree oil. Mix tea tree oil and warm water in spray bottle. Spray on surfaces that need to be cleaned. Much like store-bought cleaners, bug repellents tend to be loaded with harmful chemicals that can negatively impact both your health and the environment. The good news is that you can create a powerful bug repellent without all the harsh ingredients using tea tree oil and a few other all-natural ingredients. Yea tree oil makes wonderful a bug spray because pests, such as ticks and mosquitoes, are repelled by the natural scent of the oil. How fortunate that the delightful aroma of this oil leaves our skin smelling fresh and clean, while at the same time keeping pests away! Make your own tea tree oil bug repellent with this recipe. Add all ingredients into spray bottle and mix. Use as a bug spray as needed. 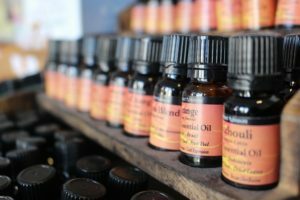 There are many natural oils you can substitute for chemical-based products. Check out how to add mint oil into your daily routine.